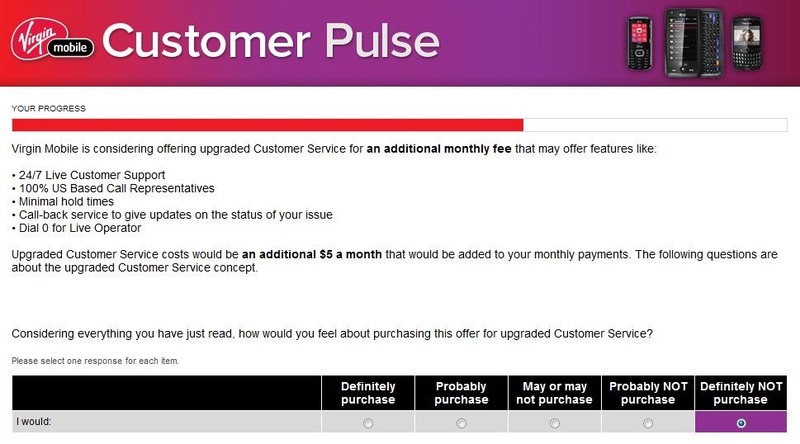 Virgin Mobile Survey: Upgraded Customer Service? As you can probably guess, I love my Virgin Mobile Optimus V phone. And despite its problems I can’t tell people enough about it. For me, it’s just not worth paying extra for any of that considering I’ve only called their Customer Service line a few times, both for billing issues which were eventually resolved. About the only thing I would want would be people who actually understand the problem, which seemed to be a big problem on the times I did call.